Hey there! Do you feel you need to up your logistics game? Does your business need to be more competitive to woo elusive customers? Are you keen to provide the best possible service in order to get the best possible returns and boost your bottom line in a big way? Logistics is a critical factor in ensuring that customers keep coming back to you for their needs. When a customer orders off your site, they expect that their product will be delivered in the time promised. Late deliveries cause frustration and a bad impression. Studies consistently show that over 80% of shoppers won’t shop on the same site after a bad last mile experience. Too many businesses leave the last mile entirely in the hands of shipping carriers. This is a great folly because the last mile plays a huge role in determining customer experience, and carriers often don’t walk their talk. If you have the intent though, you’re already on the path to being a better business. Here are some inputs to help you craft a better logistics experience for your customers. The first step in acing the logistics side of things is to define some objectives. Without set objectives, you will be flailing in the dark. Decide on whether quick delivery or economic shipping will be the focus of your business. Unfortunately, quick delivery comes at a significantly higher price. Once you make your decision, ensure that you maintain the right expectations on the part of your customers. There should never be any ambiguity about delivery times. If you aren’t auditing your shipping invoices, you are doing logistics all wrong! Many small e-commerce businesses seldom do this. And what is the outcome? They end up losing a lot of money. The thing is, shipping carriers mess up with their billing from time-to-time. Unless you audited your shipments, you would never know. Regularly auditing your shipping invoices helps you evaluate the service you are receiving. This can help you get your carrier to improve the quality of their service and also be a negotiating tool. Auditing can be a pain if done manually, but there are automated options to make your life easier. Auditing shipments gives you the opportunity to claim refunds for service failures. What are service failures, you ask? Let me explain. Service failures are when shipping carriers mess up. There are over 50 service failure types. Some of the easy ones to identify are late deliveries, products damaged on delivery, and lost packages. When shipping carriers mess up, they owe you money. But they don’t just own up and hand over the money to you. By design, they have a complicated process by which you need to apply for refunds within a particular time period. Thankfully, you can be at ease using automated services like ours which track your shipments and watch out for service failures. We get your refunds for you and credit them back into your account. This is something you cannot afford to overlook. Every stakeholder in the logistics chain needs to have enough lead time. So, scheduling becomes critical in order to avoid crippling delays. 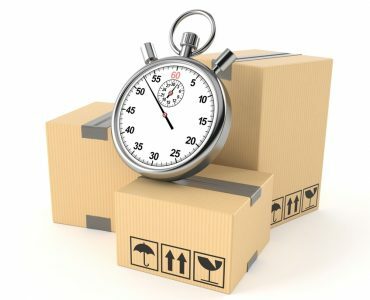 Scheduling is particularly important when deciding on delivery times for your products. 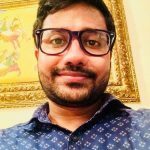 You need to plan your schedules keeping in mind everything from manufacturing to inbound logistics to pick up by your shipping carrier or 3PL partner. There are, obviously, many cogs in the wheel, and these vary based on the nature of your business. So, be prepared! Manually tracking multiple orders in real time can be cumbersome. It’s a hassle to enter the tracking number of every single package you’ve dispatched into the portal of your shipping carrier to determine status. A service like Pulse can help you in this regard. Pulse is a free service that is part of our offering. 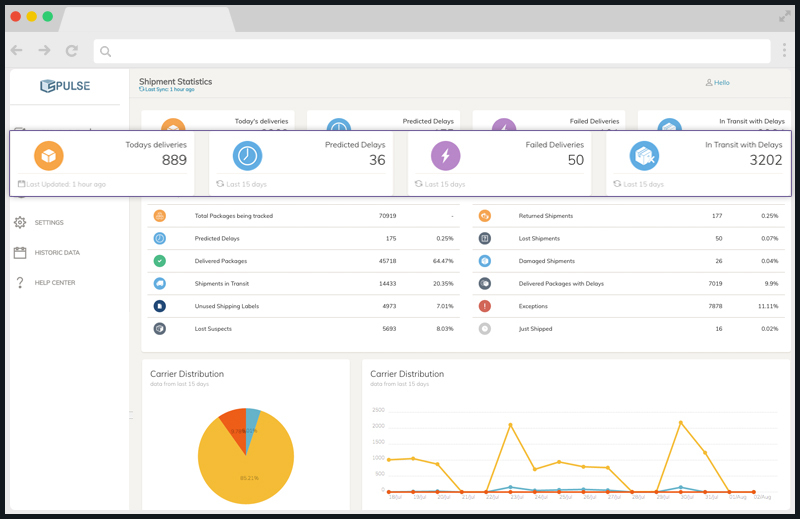 It works with all your shipping carriers to give you real-time updates on the status of your deliveries. It provides a great deal of insight into the shipping process, so you can stay ahead of delays or inform your customers about them. This way, you can ensure customer satisfaction regardless of the issues that occur during shipping. Stay informed of the latest tech trends affecting shipping. Be an early adopter of technology. This will give you an advantage over your competitors and also help you stay on top of challenges associated with tracking and auditing shipments. Scaling becomes easier when you move to an tech-driven process. Automation is already beginning to play a big role in the shipping industry. Automated parcel auditing and shipment tracking is a growing industry in and of itself. Automation in these areas helps free up valuable human resources so that core business areas can be given the attention they require. 3PL service providers come in a wide variety of forms and perform a variety of logistics-oriented functions. 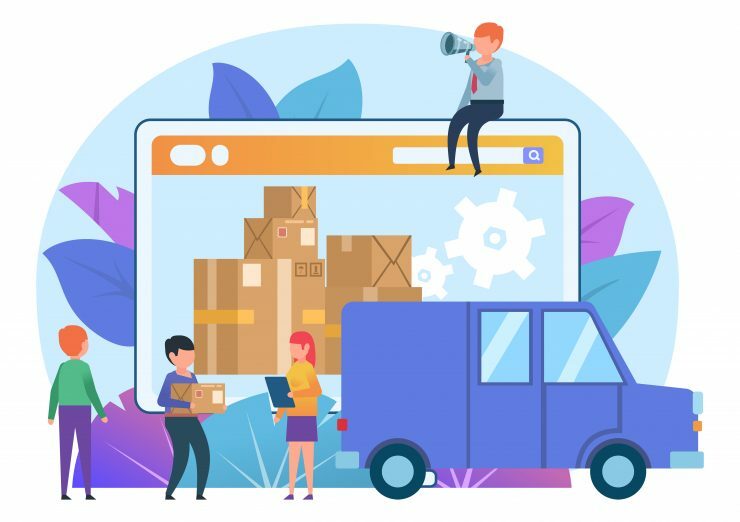 Some are warehouses that handle storage and inventory management while others handle every aspect of packaging, shipping, and getting a product delivered on time. Many small businesses shy away from using the services of 3PL service providers because they are considered to be expensive. However, using their services leads to optimized processes and significant savings in the long term. Additionally, they take control of many aspects of the logistics chain that are considered to be pain points. Don’t ever make the noob mistake of settling for the package a carrier offers you. When deciding upon a shipping carrier, make sure you do sufficient research. 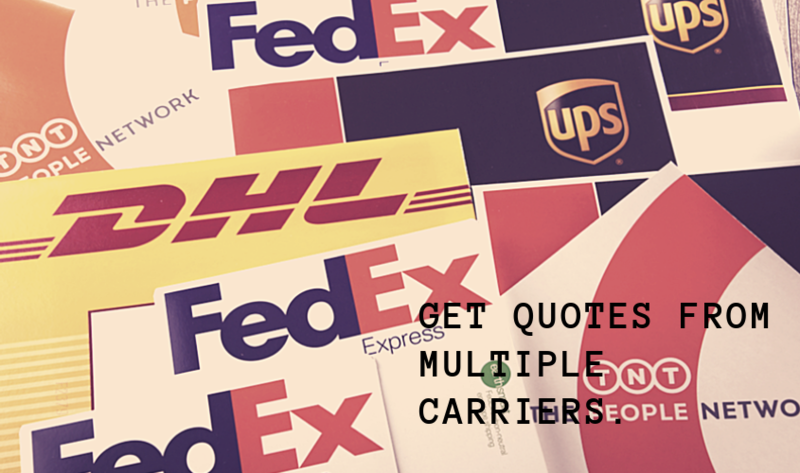 Make sure to get competitive quotes from multiple carriers. These quotes should state the cost and speed of shipping your products as well as the services you will be provided like pick up or signature confirmation. The research you do to this end will help you negotiate better and nail some meaningful discounts. 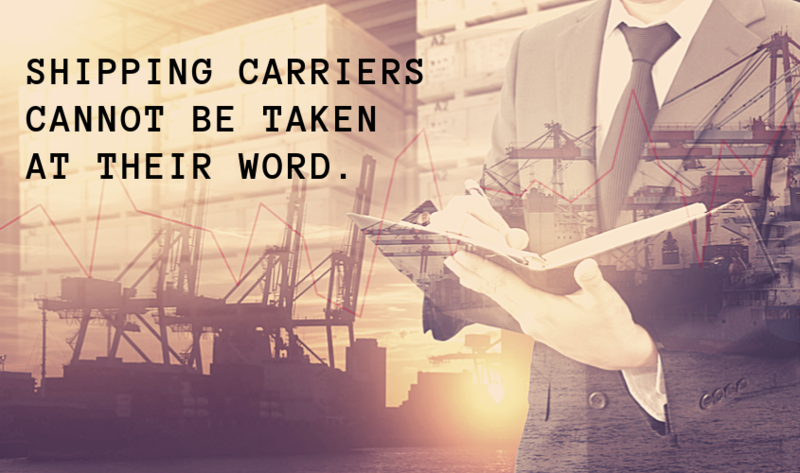 At the end of the day, shipping carriers need your business as much as you need their services. 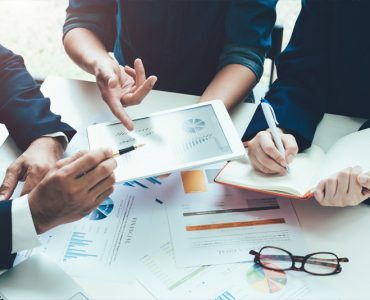 While it is true that as a small business, you will need to balance speed and economy, it pays to figure out what your target customers prioritize. Are they willing to receive their orders slower for a reduced shipping cost or do they prefer expedited delivery even if it means it will significantly increase the cost of their orders? Discern the right service type or types for your business. Compare the offerings of the various shipping carriers before arriving at a decision that best suits your business. And don’t forget that, provided you have done your research and have the details in hand, you can negotiate with carriers to get the rates that best suit your budget. Provided you’ve done your research and have the details in hand, you can negotiate with carriers to get the rates that best suit your budget. 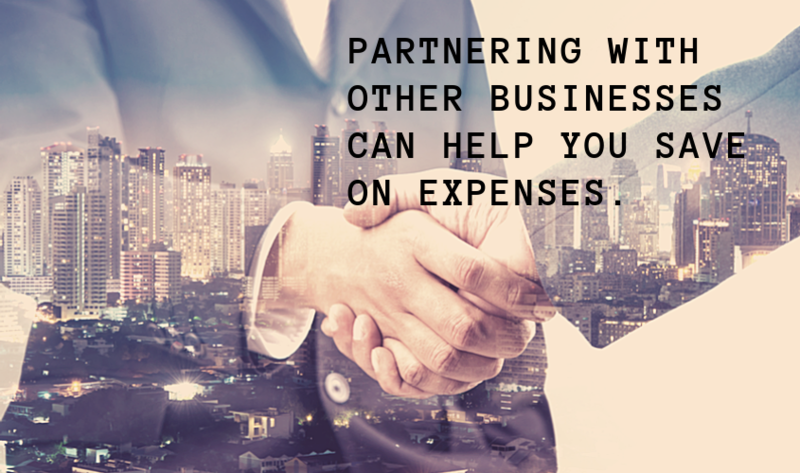 There is merit in joining forces with another business to save on costs and optimize processes. When you partner with another business, you are in a position to better leverage your strengths and compensate for your weaknesses. From the logistics point of view, a partnership with another business can help you share knowledge and best practices and also network. 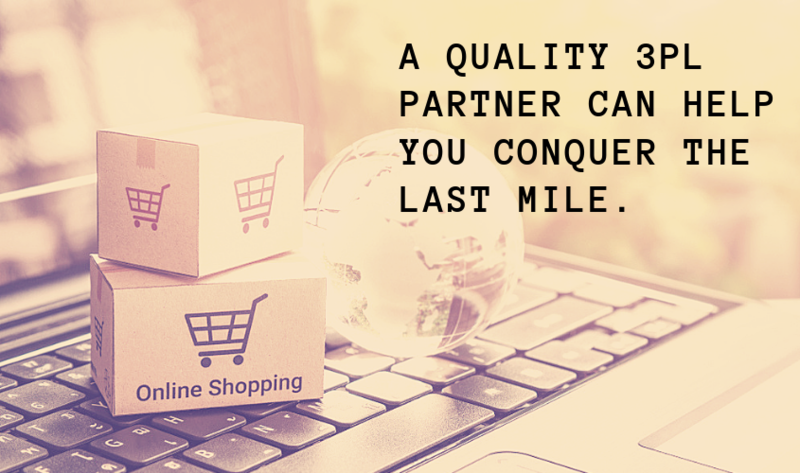 Your partner business may even be able to help you nail some meaningful deals with shipping carriers and 3PL service providers. 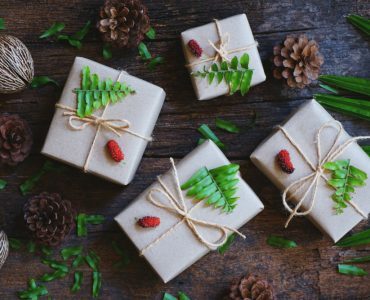 Green packaging is sustainable packaging that uses biodegradable materials and energy efficient manufacturing methods for the packaging of goods. It has minimal impact on both energy consumption and the environment. The first and foremost reason to embrace green packaging is that it is the right thing to do. You save the earth through meaningful efforts. Moreover, when you do the right thing, you build your reputation. Businesses seek reputed partners to work with. Governments give brownie points, tax breaks, and more to companies that work on reducing their carbon footprint. Beside that, 85% of consumers seem to want packaging that is recyclable or reusable! At the end of the day, there is much you can do to up your logistics game. Many small business owners neglect the last mile experience they provide their customers, instead focusing their energies entirely on pre-purchase marketing and sales. This often proves to be a fatal flaw and leads to customer dissatisfaction because of bad delivery experiences. On the other hand, focusing on optimizing logistics processes can help your business stand out and display a customer-centric attitude. The ball is in your court. Go out and ace your logistics game! I've traditionally been a poem-writer, but poems don't pay. I eat cereal for breakfast, but only sometimes. I eat insults for lunch and convert them into renewable energy.